What Is the Process Involved with Ductless Installation? If you are on the hunt for a new ductless heat pump, you may have heard how efficient these units are. Ductless mini split air conditioners move heat from inside of your home to the outside. And in cooler weather, ductless heat pumps can also move heat into the home from the outdoors. 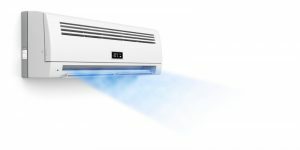 Most ductless units are rated highly for efficiency, especially for heating, since less energy is required to move heat into a space than to produce it. Furthermore, you get the benefits that come with a lack of ductwork. Ductwork can bring dust into a home, and most ducts actually contain cracks and holes that keep air from moving into the home efficiently. A ducted unit may consume additional energy simply because of the flaws commonly found in the ductwork. Prevent the hassle that goes along with duct installation by installing ductless mini split installation in Pinecrest with the experts at Air on Demand. Many people who schedule duct installation are most concerned with avoiding home renovations. Adding ductwork is time-consuming, costly, and changes the structure of the home. 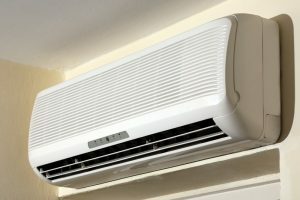 With a ductless unit, however, the installation often takes only a day. In fact, you’ll only need to make one small renovation: a hole in the wall through which technicians feed the refrigerant line that connects the inside and outside units. The outside unit is just like the outside portion of any air conditioning system. This contains an outside condenser coil, a large fan, and the compressor, among other electrical components. Each unit can usually fit up to 4 indoor air handlers, which go high up on the wall of the rooms of your home. You’ll want an air handler in each room or zone of the house in which you require heating and cooling. While the setup seems fairly simple, there is a lot that goes into it, including careful calculations and sizing, secure mounting of the indoor air handlers, and a precise refrigerant charge. Only trust your ductless mini split air conditioner installation in Pinecrest to experienced technicians, like the friendly team at Air on Demand. Call us today for quality ductless services! Posted in Air Conditioning | Comments Off on What Is the Process Involved with Ductless Installation?